Grace Chan has litigation experience in numerous areas, including complex commercial litigation, pharmaceutical and mass tort litigation, and government investigations. From 2015 to 2016, Ms. Chan clerked for the Honorable Pamela Chen of the United States District Court for the Eastern District of New York. 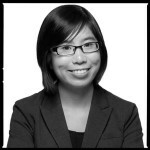 Ms. Chan works in the firm’s key practice areas: complex civil litigation, white collar criminal defense, and securities enforcement.